Facebook is introducing two new additions to its analytics suite. Instagram account analytics and advanced analytics for Facebook Pages, the company announced Thursday, will be rolling out over the next several months and available via the Facebook Analytics dashboard. Instagram account analytics. The new Instagram account analytics will give marketers more comprehensive data than what is currently available via Instagram Insights (which show how users engage with branded content). Advanced analytics for Facebook Pages The newly expanded Facebook Page analytics go beyond existing post-level metrics for Pages. “Now, beta advanced Page analytics give you a broader view of the impact of your Page by including more valuable events (defined as actions people take on your Page), including Post Impression, Page follow/unfollow, Page like/unlike, and more,” wrote Josh Twist on the Facebook Analytics blog. Page admins will be able to use the new analytics in combination with data already available in the Facebook Analytics dashboard to create new audience segments, track conversions and the path to purchase, and compare audience demographics by channel and activity. How to get access. Facebook says both of these betas will be rolling out over the next several months. Marketers who currently use Facebook Analytics will get a notification in their dashboard along with an email alerting them when the new data becomes available. If you are not currently using Facebook Analytics, request access and you’ll see data in your analytics dashboard (located under the Measure & Report section). In order to use Facebook Analytics, you’ll need to have the Facebook Pixel or JS SDK (for apps) installed. Why it matters to marketers. 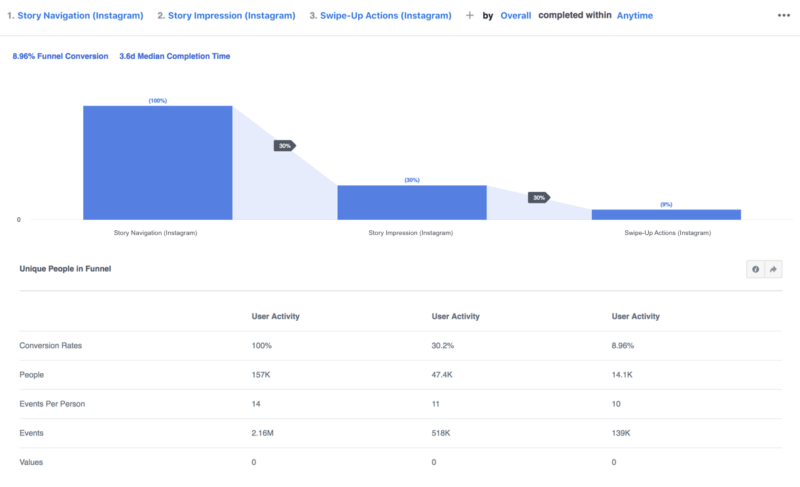 The rollout of these analytics features shows Facebook’s continuing investment in giving brands native tools to measure and demonstrate the value of marketing on its platforms. The support for Instagram analytics is particularly important as the platform has become a key platform for brands. Last year, Instagram reported that 80 percent of its usersfollow a brandon the platform. Withone billion usersnow on Instagram, that equates to roughly 800 million users following at least one brand. The addition of Instagram account analytics is aimed at helping marketers better understand how their content on the platform is impacting their overall goals, both on and off Instagram. For Facebook, of course, the idea (hope) is that providing added insights will lead to added advertiser investment on its platforms.